Recently, I re-watched the Disney/Pixar animated film “Bolt.” I originally saw the film when it came out because I had a pet hamster and one of the main characters in the movie was a hamster. A friend of mine recently gave me the Blu-ray of the film and I was excited to see it again with my kids. The reason I was excited to watch it with my kids was because it is an awesome skeptic movie! The story is about a super-powered dog in a Hollywood television series. His mission is to protect his owner, Penny, from the bad guys. In order to get the best acting out of the dog, the director of the fictional television show has decided to fool the dog into thinking that everything is real and that the dog really does have super powers. Not to give too much away, after the first part of a cliffhanger episode has wrapped, Bolt escapes from the confines of the studio set in an attempt to save Penny, who he believes is in mortal danger. In the escape, he falls into a shipping box and ends up getting shipped across the country to New York and must find his way home. The interesting part of the movie is that Bolt still believes that he has super powers. He quickly realizes that his powers aren’t working and tries to rationalize that realization with his new belief that Styrofoam packing peanuts weaken must weaken him (ala Kyrptonite). Bolt soon kidnaps a cat who he believes is working for the bad guys and forces the cat to help me find his owner. The cat is skeptical about Bolt’s super powers, but can’t seem to convince Bolt that they are imaginary. Bolt believes despite the continual evidence to the contrary that he is a super dog. There is a great scene in the movie in which the cat is up in a tree and Bolt threatens to use his super bark if the cat doesn’t return to the ground. The cat is unconcerned, much like atheists are unconcerned about the threat of Hell we often receive from religious believers. By the end of the movie, Bolt finally accepts the truth that he does not have super powers, but this doesn’t make him any less special. In fact, he ends up being happier knowing the truth than he was when he still believed the mythology of the television show. The irony of the film is that John Travolta plays Bolt and Travolta is a big time Scientologist who believes that he has super powers. 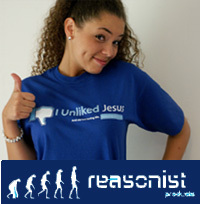 Scientology like Christianity is a religion based on mythology. 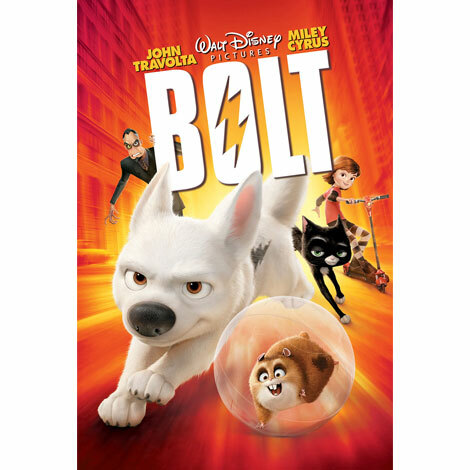 Bolt is able to go through an adventure, make new friends, and save the day while learning the valuable lesson that his entire worldview was make-believe. As devastating as it was for Bolt to first learn that he didn’t really have super powers, he ended up being much happier and living a much better life after he accepted reality. This is a great movie for all atheists. It is especially great if you have kids or if you love hamsters. 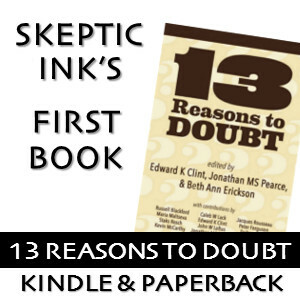 Great break down of the movie, the mental gymnastics needed by the religious to rationalize evidence that is contrary to what is actually observed.